Makerspaces and Coding are just two of the ingredients of a highly engaging learning lab that allows students to create, collaborate, and invent - while sparking authentic math, science, and literacy development. 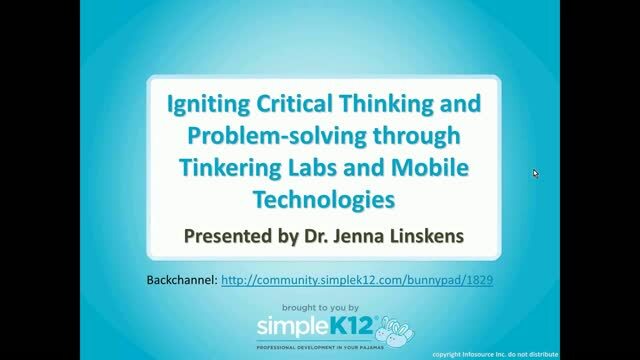 Join Jenna Linskens as she explores a variety of mobile applications and project ideas for use in your learning lab. She will explain how simple programming and coding can be used to ignite an inner engineering passion in students. Jenna will also discuss why play, tinkering, and building are essential elements to promote critical thinking, inquiry, and problem-solving in today's learning lab environment. 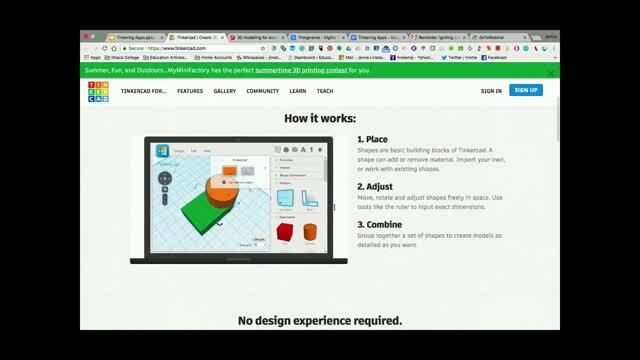 Thank you for your suggestions of Thingiverse, Sketchup, and Tinkercad. Also for remembering the young students. Great presentation! 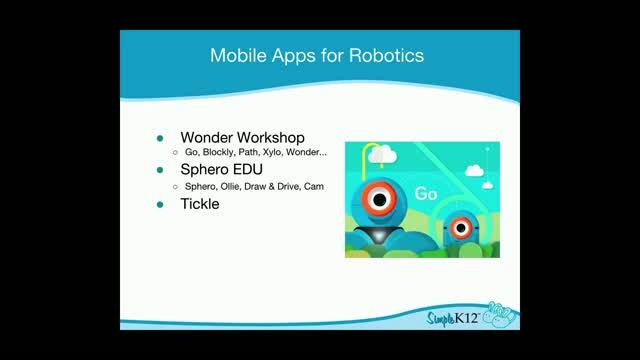 The presenter was well-organized and obviously familiar with the apps and resources she included in this webinar. 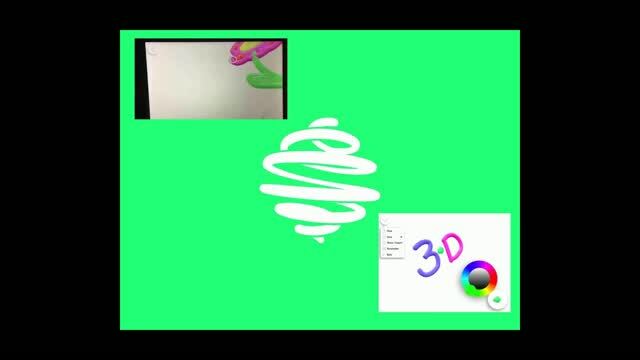 This should give even teachers who have little or no experience with tinkering and design software some great ideas on where to begin or where to go next. I liked the ideas for documenting findings. FANTASTIC presentation! Has ideas for upper and lower elementary levels. I really like how she encourages her learners to document their findings and work along the way. 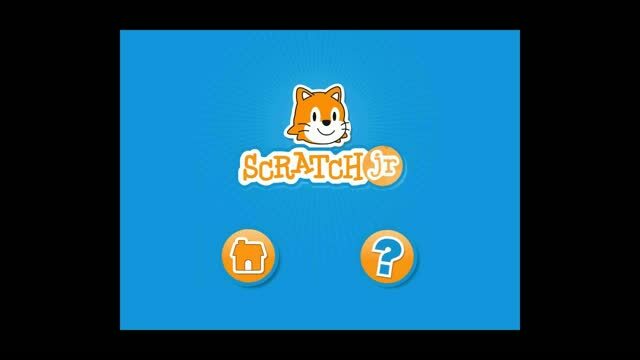 Very nice apps and site to check out. THank you. Thanks for the info to try some new sites.